The legal use of alcohol, prescription drugs and marijuana can lead to driving under the influence charges. You need an experienced advocate to fight for you. Building your defense against a DUI/DWAI begins the moment you are pulled over by a Colorado law enforcement officer. It’s not that you need to plead your case if the officer suspects you of being intoxicated behind the wheel, but there are actions you can take to improve your chances of avoiding the consequences of Colorado’s strict DUI laws. Don’t try to argue your case to police officers or investigators. Exercise your right to remain silent. 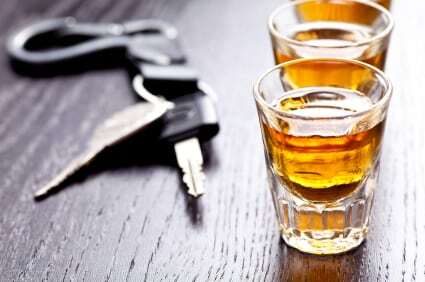 Hire a skilled Denver DUI attorney as soon as possible. Let your attorney get to work investigating your case. Quickly act to protect your license from being suspended in an express consent hearing. Trust your attorney to build a defense on your behalf. Avoid sharing details of your case on social media or with others. Every case is unique, so it is important to remember that some defense options may not apply to your situation. When you work with an experienced Denver DUI defense attorney like Attorney Richard B. Huttner, you can be confident knowing a strong case will be built on your behalf. He uses his proven background to create incisive legal strategies for his clients. Fighting your DUI/DWAI charges in Colorado is not impossible. When you have a skilled attorney on your side, you can take on even the toughest prosecutors and judges. With Colorado’s new felony DUI law, you could be facing years in prison and up to $500,000 in fines. Do you really need a DUI/DWAI attorney? Have you been arrested for driving under the influence? These charges can have severe consequences on your future. Your driver’s license could be suspended, you could face time in jail or prison, and you may be up against thousands of dollars in fines. Whether there is chemical test evidence against you or you refused to take a breath or blood test, you need to act fast to protect your future. Having a DUI/DWAI defense lawyer in Denver who understands your case is imperative at this time. You don’t know what you don’t know. Having successfully defended more than 2500 cases using his firm understanding of DUI laws. There are many other factors and issues that can be used to build a strong defense for your DUI case, so do not hesitate to reach out to Richard B. Huttner to discuss your charges. The sooner you get in touch with Richard, the sooner he can begin to investigate your charges and determine the best possible defense option. When you have been arrested, you cannot afford to go with inexperienced or unqualified legal representation. With your future on the line, it is more important than ever for you to have an experienced defense lawyer on your side. Richard is ready to take your call. Call his firm and request a free consultation with him or set up an appointment through this website. It is extremely important that you hire an experienced Denver DUI/DWAI lawyer to protect your future. If you or a loved one has been arrested for driving under the influence, you need to contact attorney Richard Huttner right away. He understands the complexities of DUI/DWAI cases and has a proven record of success in this area of criminal defense. Set up a free consultation with Richard today.